I'm not reading from a brief! 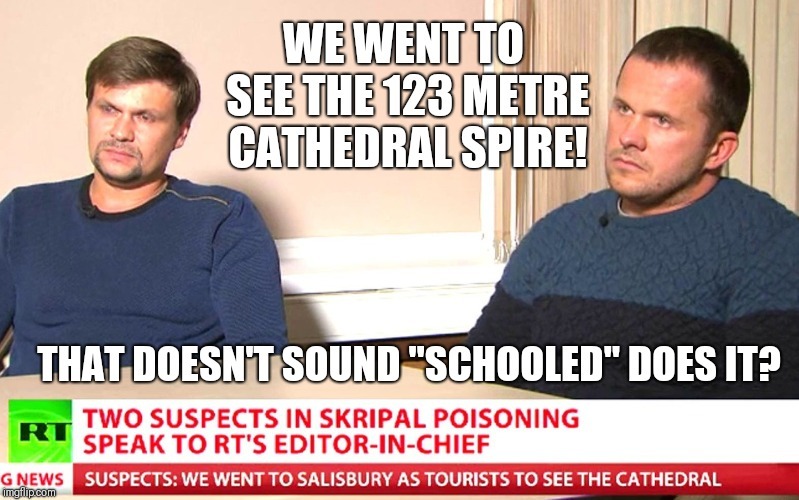 WE WENT TO SEE THE 123 METRE CATHEDRAL SPIRE! THAT DOESN'T SOUND "SCHOOLED" DOES IT?